This was the dramatic moment a small Gwynedd dog rescued after plunging 30ft down a mine shaft near Tanygrisiau Blaenau Ffestiniog. Jack Russell terrier, Tess, tumbled down the deep crack in the mountain while on a walk with her owner between Cwmorthin and Oakley quarry. 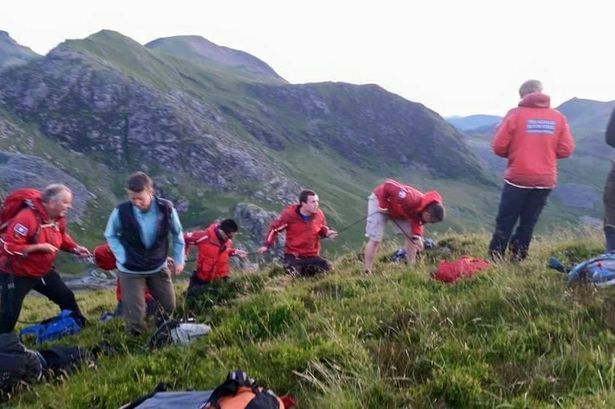 Volunteers from Aberglaslyn Mountain Rescue Team joined forces with South Snowdonia Search and Rescue Team (SSSRT) at 9pm last night to bring the frightened canine to safety. Rescuers carefully inched themselves to the bottom of the mine before grabbing Tess and winching her back above ground. Despite the huge drop Tess was unharmed during her ordeal. A spokesman for SSSRT said the rescue lasted for around an hour. He said: “It didn’t take too long but it was a very difficult rescue. “It was quite awkward because the hole was quite tight but luckily our training has prepared us for these situations. It was the second canine dog rescue in a year the teams were involved in. A Daily Post reader who witnessed last night’s rescue said he was “touched” by the efforts to save the animal. He said: “I was walking the Moelwyn mountain range last night and saw a huge amount of mountain rescue troops attempting to rescue a dog that fell down a mine shaft in Cwmorthin near Tanygrisiau Blaenau Ffestiniog. 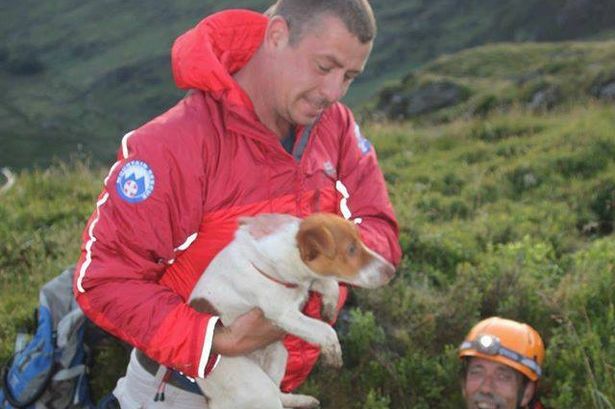 A woman, believed to be Tess’s owner, thanked the teams on the Aberglaslyn Mountain Rescue Team Facebook page. She said Tess fell after the dog walked across the hole which was covered with bushes. The woman wrote: “This one (hole) was covered with bilberry bushes so little Tess walked over it thinking it was solid ground. “We’re so lucky she was completely unhurt and so grateful to the guys who came up to rescue her.